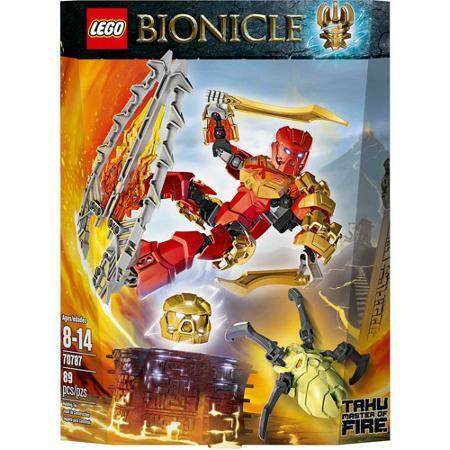 LEGO Bionicle Tahu Master of Fire Only $15.99! You are here: Home / Great Deals / LEGO Bionicle Tahu Master of Fire Only $15.99! Head over to Walmart.com to order this LEGO Bionicle Tahu Master of Fire Only $15.99 and pickup in store for FREE! Or get FREE shipping on orders $50+! You can also get the same price at Amazon! Master your surroundings with LEGO Bionicle Tahu Master of Fire. He may be a bigger hero in his own mind than he is on the battlefield, but he is no slouch. LEGO Tahu uses his fire mask to control fire and dominate his opponents.